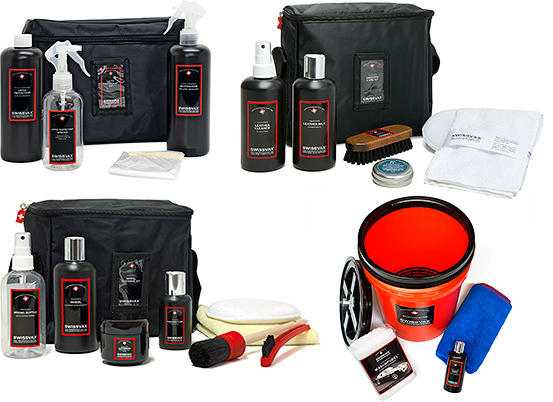 Swissvax offers its customers a complete and thorough car care system of perfectly matched products all developed following the same highly sophisticated quality and performance standards. At Swissvax they cater for all your automotive and marine care needs and you can be sure that all products have been perfectly matched to each other and that they are 100% compatible with each other. Please call us on 0113 234 0911 for further assistance. Swissvax are convinced that even an exceptional product can still and should be refined and improved further. They never consider a product as being complete in terms of further research and development. From the primary products and ingredients to the manufacturing processes and quality control standards through to the finished product, its presentation, boxing and the accessories, you can see and feel and experience the quality for which many world famous Swiss products are renowned. From a customer’s perspective you will be delighted again and again by this outstanding quality every time you use the products. At Swissvax, every product is developed and meticulously tested both in the laboratory and under the harshest practical conditions. Their geographical and meteorological situation in Switzerland with its proximity to the famous unrestricted German Autobahn and 4 intensive seasons from paintwork-boiling hot summers to freezing cold winters with extensive use of road-salt offers us the best possible natural development and testing ground a company in their marketplace can look for.